Teachers Mutual Bank is a provider of credit cards, home loans, personal loans, savings and transaction accounts, term deposits, life insurance, home insurance, car insurance, and travel insurance. If you’re considering a Teachers Mutual Bank credit card, check out what’s available below in our comparison table below. Teachers Mutual Bank has one credit card available at the time of writing: the Teachers Mutual Bank credit card. This credit card was recently awarded a 5-star rating by Canstar for both Low Rate and Low Fee credit cards in 2017. 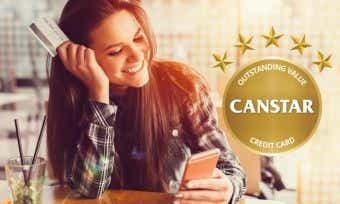 Assuming you meet the eligibility criteria above, you can apply online by comparing credit cards on the Canstar website and applying for the card of your choice on the Teachers Mutual Bank website. You can also apply over the phone by calling 13 21 40, or by dropping a written application into one of their branches. How do I activate my Teachers Mutual Bank credit card? You will have to activate the card when it arrives before you are able to use it. Activate the card using the mobile banking app or online banking, or by contacting Teachers Mutual Bank. Can I manage my Teachers Mutual Bank credit card online? Yes, you can manage your Teachers Mutual Bank credit card through the mobile banking app or online banking. With online and mobile banking, you can manage your credit card by viewing your transaction history, checking your interest balance, applying for new cards, and more. How is interest calculated on my Teachers Mutual Bank credit card? Interest is charged when you carry a balance on your Teachers Mutual Bank credit card, from the date of withdrawal for cash advances, and from the date of transfer for balance transfers. Up to 55 interest-free days apply to your Teachers Mutual Bank credit card, and these interest-free days apply if you have paid the balance in full for the previous month’s statement and for the current month’s statement. For more information about interest-free days, check out our article on how they work. 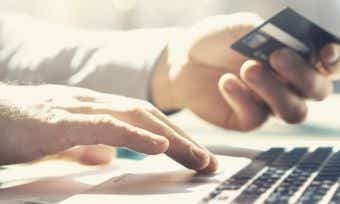 What will my credit limit be on my Teachers Mutual Bank credit card? The credit limit on your Teachers Mutual Bank credit card will be determined based on the information you provide in your application, within the minimum and maximum credit limits that apply (see above). You can increase your credit limit at any time by filling out a credit card limit increase application form, and Teachers Mutual Bank may accept or reject your application at their discretion based on their lending criteria. 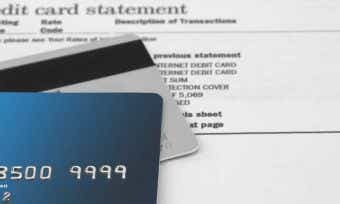 Find out more about how credit limits are determined here. How do I close my Teachers Mutual Bank credit card account? You can close your Teachers Mutual Bank credit card account at any time by contacting them on 13 12 21 (open Mon-Sat), or via online contact form. Your card balance will need to be repaid in full even after the card is closed, and you will continue to receive monthly statements until your card balance is fully repaid. If your reason for cancelling is that you’re under financial stress, contact the Teachers Mutual Bank financial hardship team to look for potential solutions. Teachers Mutual Bank was founded in 1966 with the goal of providing financial services to educators and their families. Today, Teachers Mutual Bank includes three brands – the original Teachers Mutual Bank, UniBank, and Firefighters Mutual Bank – making it one of the largest mutual banks in Australia. It now has nearly 175,000 members and manages $5.3 billion in assets. Teachers Mutual also believes that sustainability is a vital aspect of running a business, which is why it has a number of sustainability goals. In 2015, Teachers Mutual Bank was named ‘Best bank in socially responsible performance’ at the Australian Banking and Finance Awards.